/ Where Did Coffee Originate and How Did It Spread Across the World? 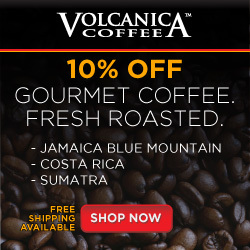 Coffee is now grown across the tropicals, but where did coffee originate? Coffea arabica is indigenous to the highland plateaus of Ethiopia and southern Sudan and possibility Kenya. There’re many stories about the discovery of coffee and the effects it had on people that ate its fruit. Regardless of how people discovered the wonderful properties of coffee, they soon learned to steep the seeds and were drinking it before the eleventh century. However, it took a few hundred years for coffee trading to occur and start spreading across the world. The first recorded history of trading coffee trading took place in the 1400’s. Ethiopian coffee reached what is now known as Yemen, Egypt, Syria, and Turkey as early as 1500’s. Although early European travelers and traders talked about a rich black liquid from the Middle East in mid-1500’s, it appears coffee didn’t reach Europe until the 1600’s. Not widely accepted at first, coffee eventually replaced beer and wine as a breakfast drink in the mid-17th century. It took over 200-years for coffee to reach Europe from the Middle-East. But with the European worldwide expansion in the 1600’s the Dutch, English, French, and Spanish quickly spread coffee around the world. The Europeans spread both the habitual drinking of the bitter liquid as well as establishing coffee plantations where ever the plants would grow and survive. Below is a short documentary on the history of coffee in Ethiopia. From coffee’s discovery to the practices that are occurring now. 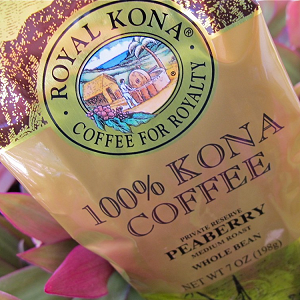 Except for Hawaii, coffee isn’t grown commercially in the United States. However, we consume over 575 million cups of coffee a year. So the U.S. is a large coffee importer. Coffee was introduced to the new world in the mid-1600’s but played second fiddle to tea until the British decided to increase taxes and tariffs on tea in the mid-1700’s. At that time, coffee started to gain in popularity. Thanks to colonists, missionaries, travelers, and traders who carried and planted coffee seeds everywhere, coffee production started to have a global presence, both production, and consumption. Coffee plants have a huge advantage for many other crops as they like to grow in rugged, steep-sided hills, and don’t mind being shaded by other trees. Coffee grows in places other crops won’t grow, so coffee doesn’t complete for field space with other cash crops. Since coffee plants can grow in shady areas, the native vegetation doesn’t need to be clear cut before planting. Saving time, money, and energy and helping people in undeveloped areas to quickly establish an income. These coffee plantations established in tropical forests and on rugged mountain highlands created an independent economy that created new nations on the profits of coffee alone. By the end of the 18th century, coffee was well-established and became one of the world’s most profitable export crops. Coffee Obsession is a great book if you’re interested where coffee is grown within each country. The book contains beautiful maps showing coffee growing locations, plus this inexpensive hardcover book has a lot of other useful coffee information! As mentioned, coffee likes to grow in rugged areas. Another characteristic of coffee is that the fruit, or cherries, don’t ripen on the plant at the same time. If you want more information on coffee plants and how it grows you can find it in this article, How Coffee Grows. It is both good and bad that coffee likes to grow in rugged areas and doesn’t ripen at the same time. It’s bad because it is almost impossible to mechanically harvest coffee grown at higher elevations. Harvesting is a manual process that keeps the volume low and prices high. Although some plantations do have mechanical harvesters and cultivated fields, these are at lower elevations that don’t produce the highest quality beans. But it’s also good that mechanically harvesting coffee is hard! Because of the quickly changing climate and soil types on the rugged mountainsides, coffee beans have many different flavor profiles based on geography and elevation. These lead to small batches with unique tastes and aromas that can be kept separated and not mixed together in one big piece of equipment. People have picked up on these subtle differences in taste and aroma and like to keep beans separated based on subvarieties, geography, and elevation. 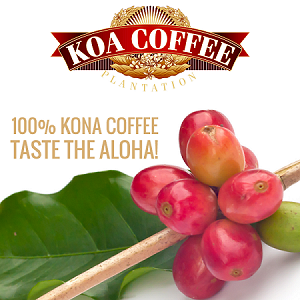 This is why you often see coffee professionals identify coffee beans down to the plantation name. These differences lend themselves to small batched specialty coffees. That said, coffee does have some regional characteristics. This is why some people have preferences on where their coffee is grown, for example, someone might like Sumatran coffee more than Costa Rican coffee. 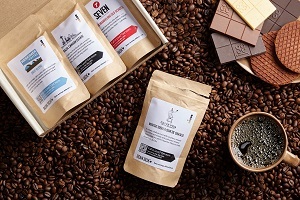 The taste of coffee is so varied based on geography, geology, elevation, climate, rainfall, temperature, processing, how it’s stored, roasted, prepared, brewed, and what is added to it after brewing that the flavor profiles are infinite. I once thought coffee was coffee, but I have learned that the world of coffee is filled with different tastes and aromas. This World of Coffee is one that I want to explore!